An effective business all starts with productivity and organization. From the ground up, a company must work effectively and efficiently. Without great organization, the business slowly grinds to a halt. Simple, everyday tasks become a laborious job, and the entire company suffers. That’s why companies put such an emphasis on improving organization. We’ve seen it in the smallest startups to the biggest corporations. Even doctors are spending more time on paperwork than patients. Something’s got to change when it comes to productivity. 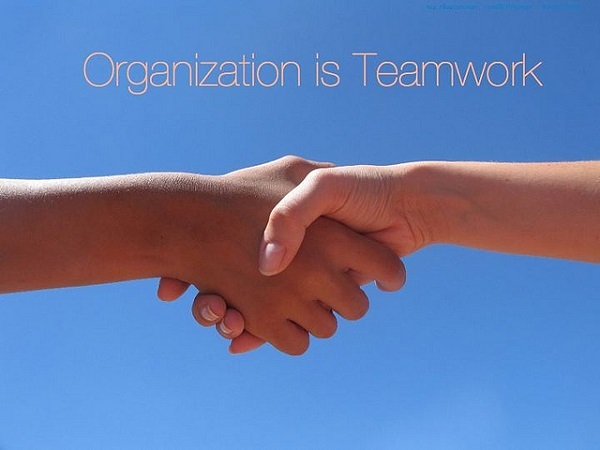 Improving organization quickly boosts morale in the company. It boosts productivity and output, which in turn, improves sales. It’s a simple formula, but it all starts at the ground level. Let’s take a deeper look at what we’re talking about. It all starts with a clear and established structure. Employees work better when they know exactly how the company itself is structured. Who exactly do they report to? Who is in their team, and what are their roles? When there is a clear and direct structure, organization follows by default. This is something that must start from the top, forming a clear umbrella system. A strong management structure will show employees exactly how the organization works. There is no overlap, and jobs are easily distinguished. Organization is driven by simple communication. When a business talks to each other, it thrives. Again, this builds upon the system of structure. When employees feel free to communicate their thoughts, ideas, and concerns, productivity increases. Rather than working away on something they’re unsure about, they can actively communicate their problems. Make sure their is a culture of communication within your work space at all times. Structure and communication is a solid foundation to start with. However, you can also extend that organization to the physical surroundings themselves. Quite simply, when everything in the office or factory is in its right place, organization is simple. Take a look at this review of Triton products, who specialize in organization. Everything from a pegboards to labelled shelves will help keep things in order. Sticking to an organizational schedule requires strict goal setting. It’s easy to stay on track when you know exactly where you’re going. A productive company sets itself realistic targets, and works hard to make them happen. This clear structure gives a sense of organization from the ground up. The best companies set a three-tiered system of goals. First, they set a big, audacious mission statement. Next, they break that down into achievable medium-term goals. Finally, they set daily or weekly objectives in order to reach them. Technology has introduced a whole new world of productivity and organization. Smartphones and tablets have instantly given us the power to better schedule events and manage our time. Meanwhile, cloud computing has opened up a new generation of simple productivity. We can now collaborate on files as a team, and eliminate the hassle of printing. We can communicate across instant messenger and keep everything running smoothly. An effective company must find new ways to boost productivity and organization in the workplace. Starting from the ground up, there are always new ways to improve.